Monday folks! 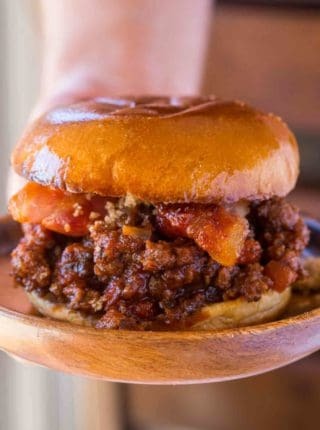 You know that means is Sloppy Joe time! 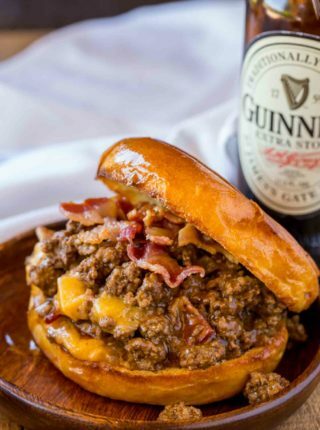 We love the classic Ultimate Sloppy Joes but we’re having a lot of fun with all these new flavor combinations! 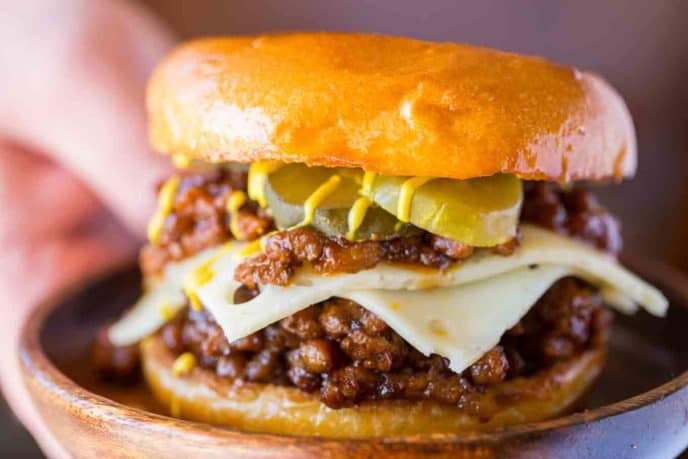 I bet you’re wondering if we ever get tired of sloppy joes. Noooope. We (and I even mean the kids here) have had an absolute blast testing each one of the almost 40 sloppy joe recipes coming to the blog! And if you really think about it, with different flavors the use of ground meat is an easy and obvious choice for weeknight meals. Plus Wednesdays are something the kids look forward to now instead of feeling like they’re in the doldrums of the week! Now let’s discuss the Cuban authenticity of this meal. It’s not. 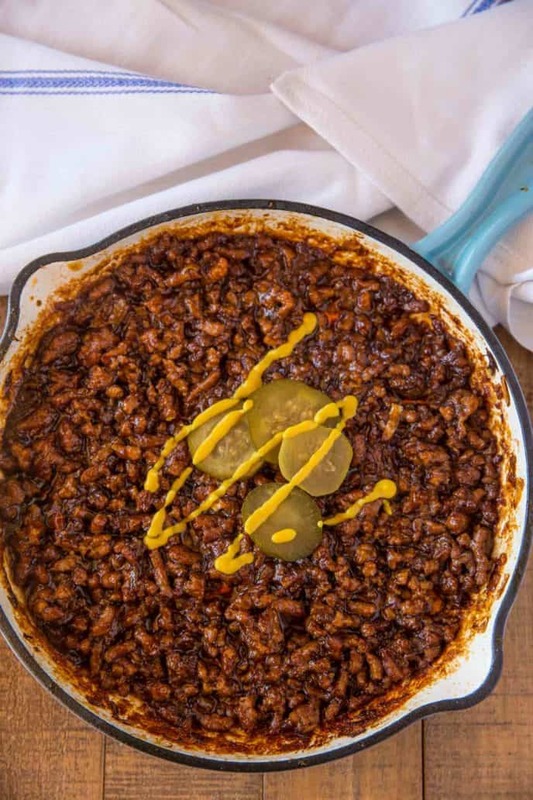 I mean, logically, it just isn’t and if you’re making these sloppy joes you just have to know you’re getting some fun Cuban flavors in 30 minutes like you get Philly Cheese Steak Sloppy Joes without shaved ribeye in just 20 minutes. Or if you’re feeling nostalgic for more childhood favorites I highly suggest Tater Tot Casserole and Frito Pie. An authentic Cuban Pork Sandwich? It contains roasted pork, ham, pickles, Swiss cheese and mustard on a crusty roll, pressed and toasted. That sandwich? COMPLETELY DELICIOUS. In fact I once did a Miami Cubano Sandwich crawl where we taste tested 6 different Cubanos. What goes good with Cuban sloppy joes for a side dish? These Cuban Sloppy Joes would be delicious served with plantain chips or Lime Chips and Guacamole. Mix the spices together in a small bowl while cooking the pork hand for easy adding. Add the Swiss cheese in between scoops of the filling so it melts nicely. 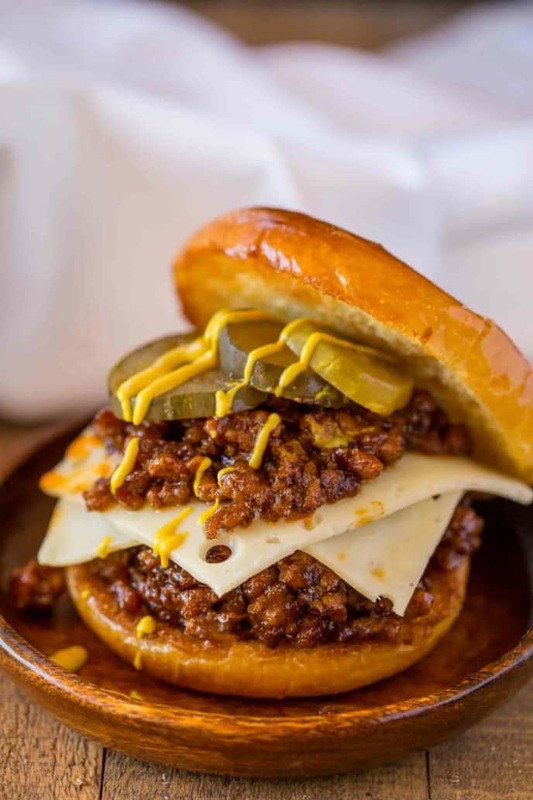 Cuban Sloppy Joes made with seasoned ground pork with citrus flavors topped with swiss cheese pickes and mustard is a Cuban take on the family favorite sloppy joes! Heat the oil in a large skillet over medium-high heat then add in the pork, crumbling it up with a spatula as it cooks for 5-7 minutes. Lower the heat to medium and add in the garlic, brown sugar, allspice, coriander, kosher salt, black pepper, paprika, Worcestershire sauce, lime juice and lime zest, stirring and cooking for 2-3 minutes. and lime zest and juice. Add in the stock and tomato sauce stirring well then letting reduce for 5-7 minutes. Scoop onto toasted buns, top with Swiss cheese and another spoonful of the pork mixture with pickles and mustard on top (optional). Just made this tonight and my husband and I loved it! 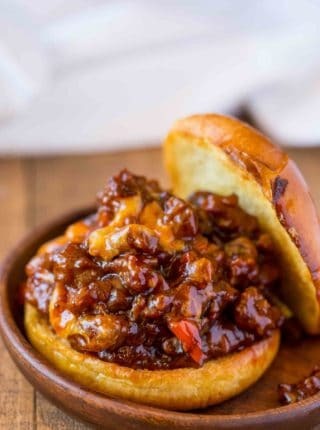 Thank you for sharing, can’t wait to try your other sloppy joe recipes! So glad you both loved it. I really appreciate the 5 star rating. Very tasty! My wife and I both enjoyed this recipe. Thanks for sharing another great recipe. I have made a number of your recipes and we have enjoyed every one of them. Please keep doing what your doing and know that your talents are greatly appreciated! That’s so sweet of you to say, Jim! I’m so glad you’re loving the recipes. 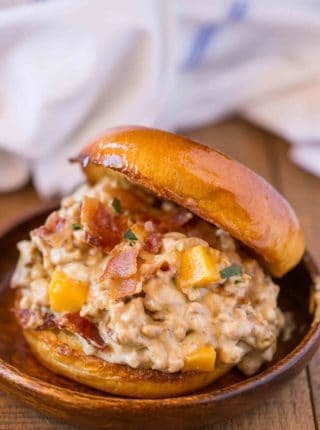 I’m gonna try making this but to make it even more “Cuban like” I might add either chopped up ham and cook it with the pork or just put sliced ham with it. It doesn’t just look good, it taste amazing!! Made tonight for the first time!! Wow!! So glad to hear this, thank you so much for coming back and telling me what you thought of it! That looks mouthwateringly delicious! Totally have to make this asap! 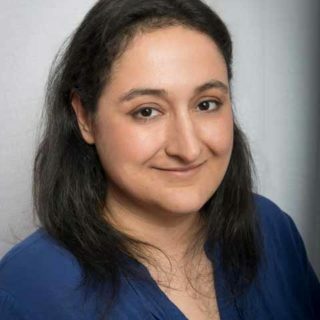 Thanks Abeer! Hope you enjoy it! Cuban anything is always amazing! Love this flavor combo! Oh my gosh, these are making my mouth water! I want this right now! Looks freaking amazing!! Oh wow! These sound incredible! 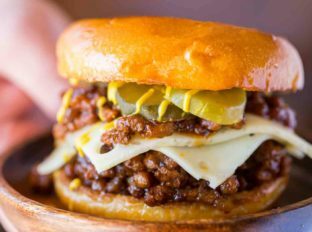 What a great twist on the original sloppy joe! Oh mylanta!!!! This looks incredible! 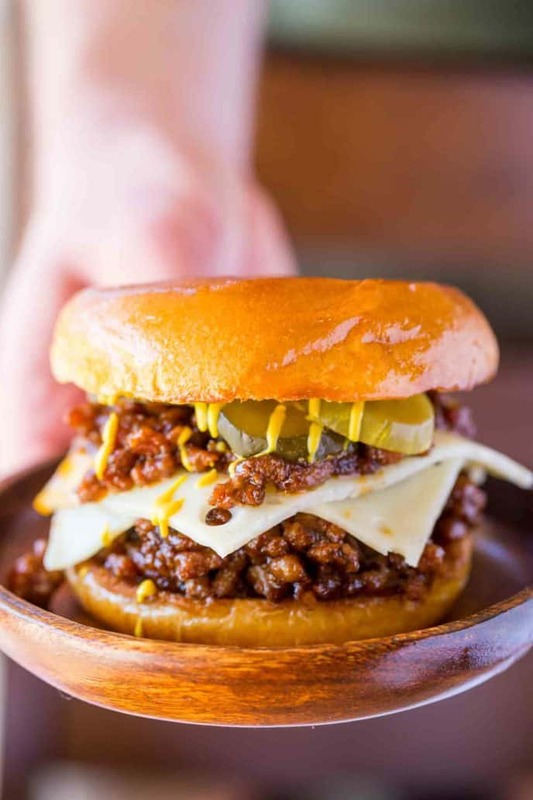 I’m also swooning over all of the other sloppy joe recipes that you have too! SO so good. I’ve never used pork to make sloppy Joes. I love this idea!